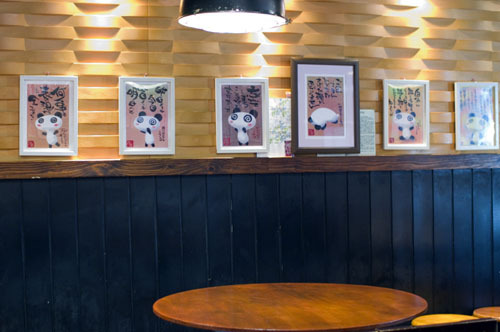 Excellent heirloom-breed pork dishes served with an impressive selection of premium craft sake - that's the simple but appealing formula at this unpretentious drinking spot. There are around thirty or forty craft sakes to choose from at any given time, and you can order them in small, tasting-size 75ml glasses if you want to put together a do-it-yourself tasting flight. 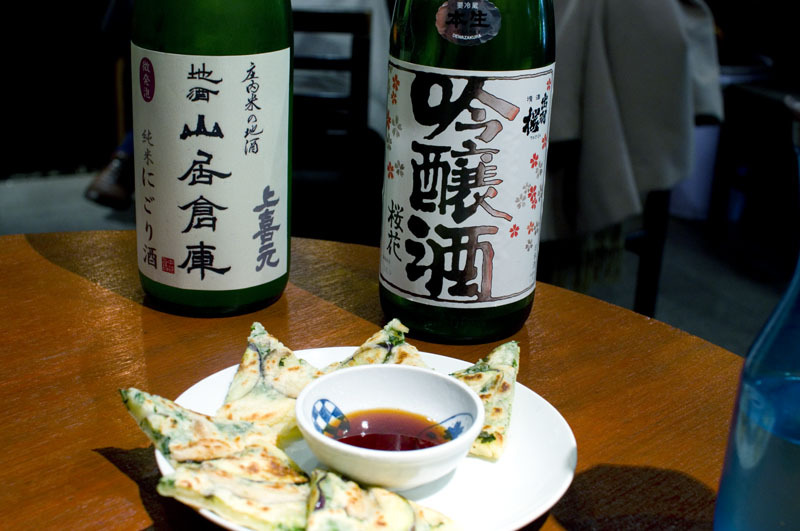 In addition to regular ginjo and junmai styles, you can try seasonal nigori ("cloudy") sakes and several types of doburoku - a rough home-brew-style sake. And there are five flavors of makkoli, the Korean version of doburoku. A rustic farmhouse-style beverage, makkoli is milky white in color, tangy in flavor and sometimes a bit fizzy, with an alcohol content only slightly higher than beer. The selection here is served in camp-style metal cups, and it includes a black-bean makkoli, with a sweet, nutty flavor that's very evocative of hazelnuts, and a pleasantly sweet version flavored with okoge (toasted rice). 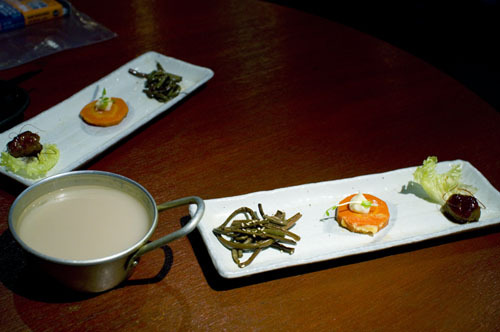 Like the drinks list, Tejimaul's food menu is a mix of Japanese and Korean influences. The well-marbled, premium-grade pork served here comes from a small farm in Yamagata, and you can order various cuts to grill at your table, Korean barbecue-style. The grilled pork comes with Korean dips and garnishes, and there are plenty of Korean side dishes like chijimi (savory seafood pancakes). 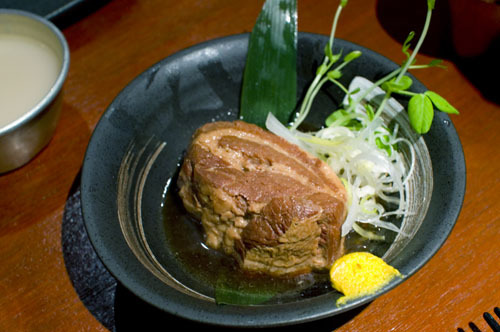 The Japanese side of the menu features an excellent take on kakuni (stewed pork), with a rich, intense flavor and meat that's tender enough to fall off the bone. The fantastic pork tsukune - a grilled, bullet-shaped meatball served with raw egg - is also highly recommended, and it goes quite well with the more assertive styles of sake. The decor at this basement shop is simple and quite casual, with an earth-toned color scheme and seating on stools around big round wooden tables. Budget around Y3000-4000 for food and drinks at dinnertime. Shinjuku-ku, Nishi-Shinjuku 7-10-10, Nishimura Bldg B1F.